Fig. 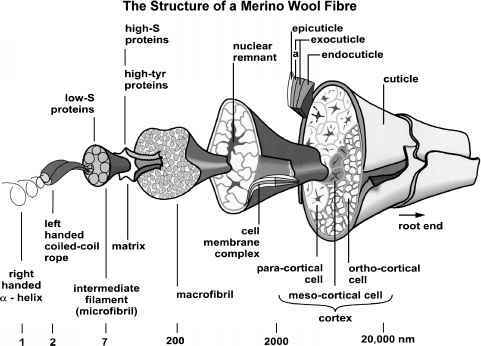 1 Schematic of procedures for cloning by nuclear transfer. Nuclear transfer requires a source of recipient eggs. The genetic material is removed from the recipient egg (enucleation) using a glass micropipette. Donor cells are collected, cultured, and transferred next to the cytoplast. The cytoplast and donor cell are then fused together and activated so that development begins. 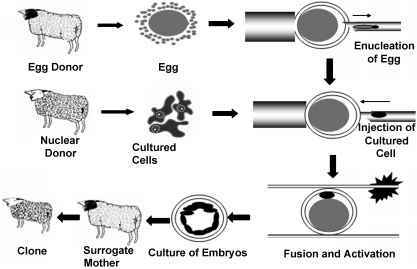 The resulting NT embryo is cultured prior to transfer to a surrogate mother. yet succeeded in making cloned dogs or monkeys by somatic cell NT cloning.